Big news! At 6:00 PM PST, we’re officially moving the Kobold Forums community to some shiny new digs: the brand-new Kobold Press community on Google+. 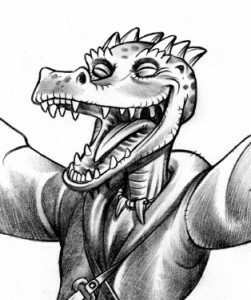 Which brings up another thing: rather than abandon the forums to spam, or have them live on in a sad half-life where people are posting but we’re not replying, the Kobold Forums are going to shut down completely at 6:00 PM and disappear from the site. They’ve served us well for many years, and we’ve had great discussions there, but it’s time for us to move those discussions to a new home. Let us know if you have any questions, and we’ll see you at the new place! OK. Thanks for all the fish! It was a great time! How sad to abandon all that history. I occasionally go back and look up items, but… Oh well, nothing lasts forever. Is it possible to archive the old forums in some convenient way? Gotta say, I *hate* the Google+ interface.